Here’s another spotlight blog post of our amazing vendor, Fit Cricket Nutrition. Our marketing director, Jennifer Lyon, sent Angela Kelly, founder at Fit Cricket a few questions about the work she does. Here are her responses! 1. Tell me about your business. We produce protein bars and powders using crickets as the primary ingredient. 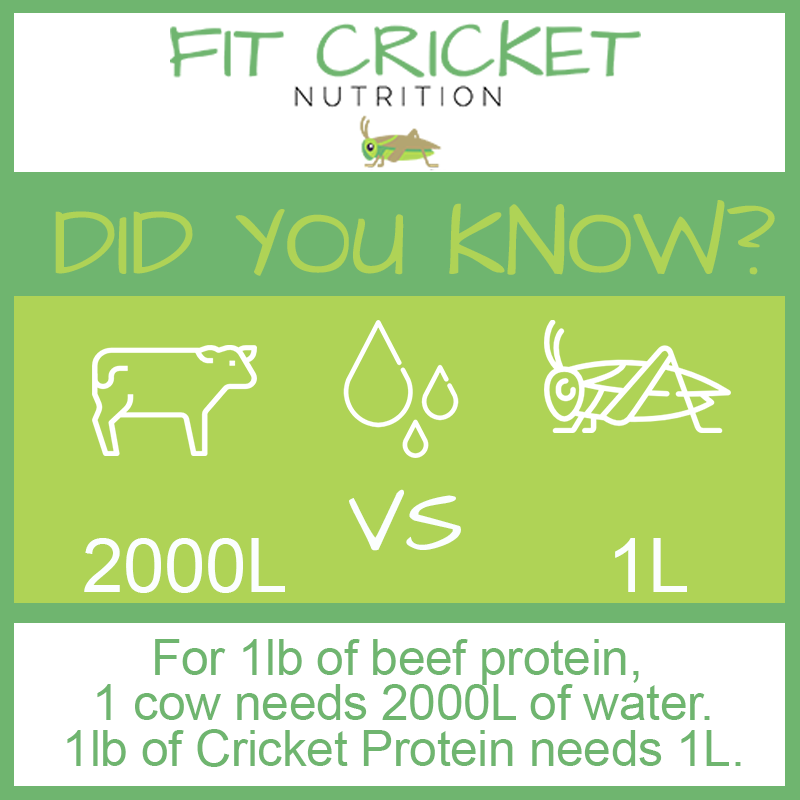 Crickets provide an incredible source of sustainable and complete protein as well as essential vitamins and minerals. Our bars are 7 natural ingredients, 10g of protein and all dairy, gluten, soy, egg and peanut free. In one heaping tablespoon of our powder you get 7g of protein and 80% of your vitamin B12. 2. How do you work to keep sustainability at the core of your business? We are a small independent Canadian business with sustainability as our number one goal. We are on an environmental mission with a commitment to a sustainable future and that aligns with everything we do from promoting sustainable food sources to using green energy for our operating spaces. 3. Tell me about you. What got you here to a green business? Why? Growing up I spent all of my summers living on a boat with my family. We lived off the land and grew to love and deeply appreciate the natural world around us, for me that included insects. 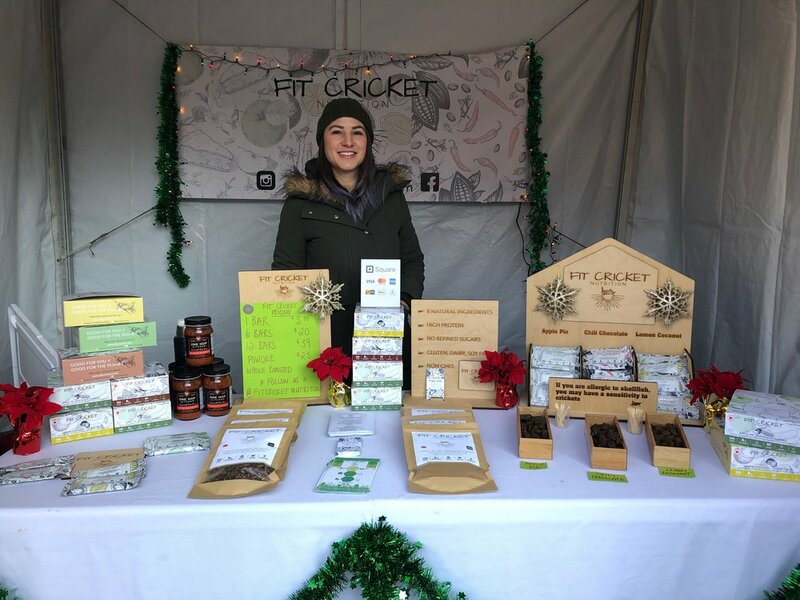 In my later years when I had read about all of the amazing health and environmental benefits of crickets it only made sense to me that we should all be eating them, from there began Fit Cricket Nutrition. 4. What are you up to? Any new events? Products? 5. Any highlights to share from the Eco Market 2018 event? The Eco Market 2018 had been our best attended event at the time and was truly a confirmation for us during our first 6 months that we were indeed on the right path. I remember a mom coming back to our table with her 2 kids, she had given them the option to buy anything they wanted at the market that day and all they wanted were more cricket bars!